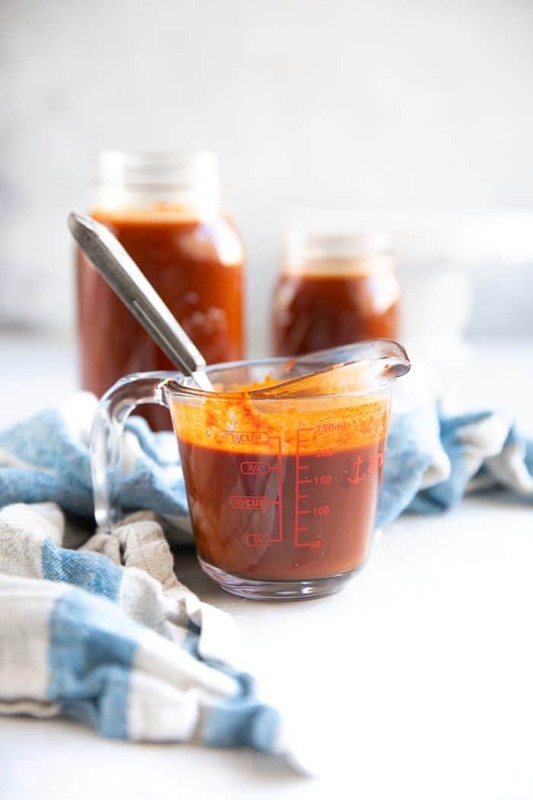 A million times better than any store-bought version, this Homemade Enchilada Sauce Recipe is bold, delicious, and filled with beautiful complex flavors. Learn How to Make Enchilada Sauce and enjoy with your favorite enchilada recipe, mixed in soups, or simply drizzled over crispy corn tortillas. 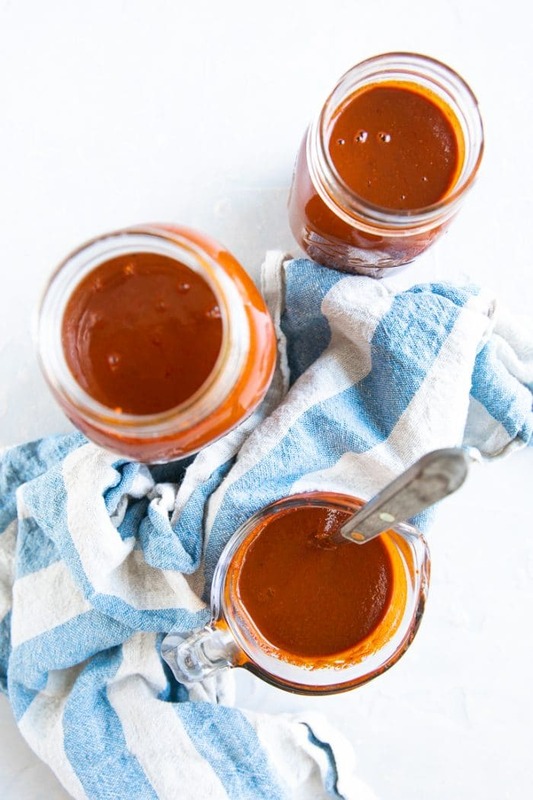 Popular in Mexico and the American Southwest, this Enchilada Sauce Recipe is made from dried chili peppers, roasted onions, tomatoes, garlic, and a handful of other super simple, preservative-free pantry essentials. 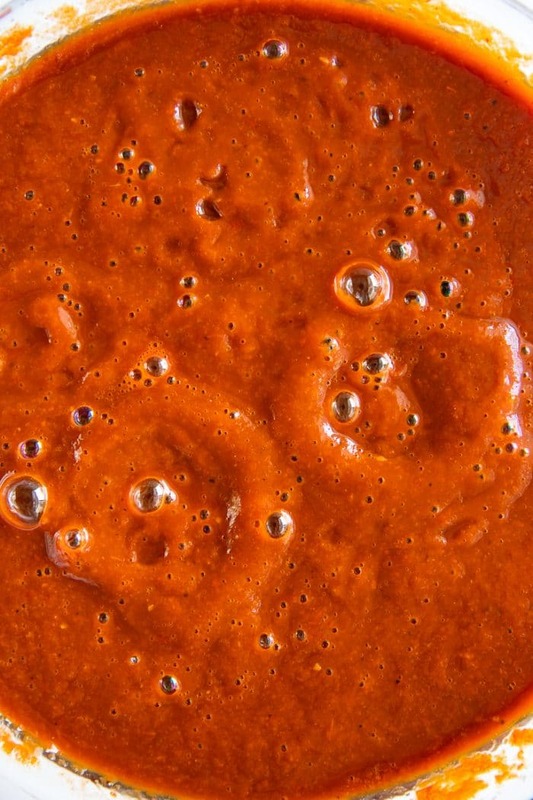 Making your own authentic enchilada sauce right at home is super easy and cost-efficient. 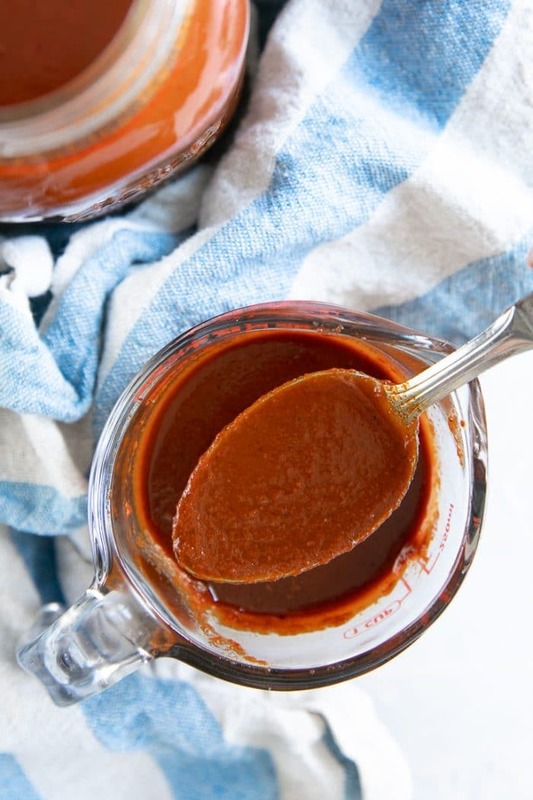 Like this homemade mole sauce, you’ll need approximately an hour or so to bring it all together, but the results are completely worth the effort. 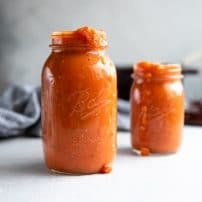 A million times better than any store-bought, mass-produced enchilada sauce, this homemade version is free of MSG, preservatives, or any other unknown ingredients. 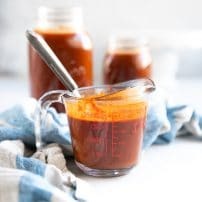 Enchilada sauce is delicious served with cheesy chicken enchiladas, as a base to your favorite chicken tortilla soup, or simply drizzled on top of your favorite taco recipe. Dried ancho chile peppers. Ancho chile peppers are the dried, ripened poblano peppers (since the dark green poblano we know is actually the unripened version of this not-so spicy chile pepper). Mild in heat, and somewhat sweeter in taste compared to poblano peppers, ancho chile peppers are a common ingredient in many Mexican sauces and recipes. Dried guajillo chile peppers. 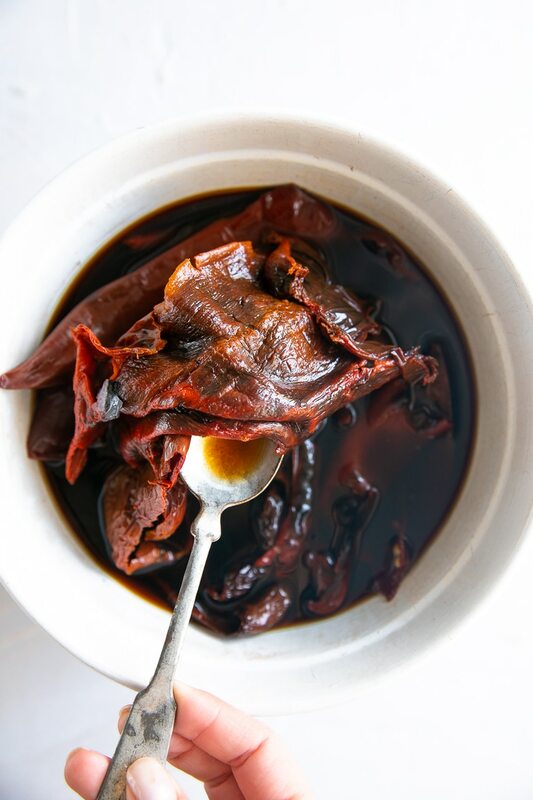 The dried form of mirasol chilis, guajillo chile peppers are the second most popular dried chilies to be used in Mexican cuisine and are considered mild to medium in heat. Dried Arbol chile peppers. The hottest of the three chiles used in this enchilada sauce, Arbol chile peppers start out green, turn red as they ripen, and turn an even deeper red once dried. Given their somewhat unpredictable heat level, I typically err on the side of caution when adding these chiles to sauces and stews. Onions. I added white onion, but yellow onions would work just as well. Tomatoes. Technically tomato based, I chose to add fresh tomatoes instead of canned. Look for large, ripe, sweet-smelling tomatoes, if possible, as they will have the best flavor. Garlic. Whole peeled fresh garlic. Dried Mexican oregano. Unlike the Greek and Mediterranean versions of oregano that most of us are likely accustomed to, Mexican oregano has notes of citrus and mild licorice rather than savory, earthy, and peppery. Ground Cumin. If you don’t have ground cumin in your spice drawer, may I request that you add it? Cumin is probably one of the most commonly used spices and with such a unique flavor, it’s hard to substitute. Sugar. The sauce is going to need some kind of sweetener. All those chiles, while delicious, are also somewhat bitter. It’s easy to balance the bitterness with a little bit of sugar. Chocolate. Not too much, you guys. After all, we’re not making Mole Sauce. And definitely not milk chocolate. All you need is a small piece or two of bittersweet chocolate. Of course, this is entirely optional. It’s surprisingly easy to make enchilada sauce from scratch. 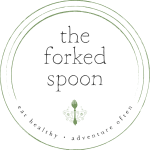 You will need a heavy-bottomed skillet (I recommend a cast-iron skillet for this), blender, pot, and jars with tight-fitting lids to store all that beautiful sauce in. You may also want to use a pair of gloves when handling the chiles as their heat level is often unpredictable. Roast the chiles – start by roasting your chiles in a dry, heavy-bottomed pan or skillet (I love my cast-iron skillet for this) set over medium heat. Simply add the dried chile peppers and roast for 1-2 minutes on each side. You will not really see any visible changes in color as you toast them, so keep a close eye on them as toasting for too long will result in a bitter-tasting sauce. Remove from the skillet. Bring the water or chicken stock to a boil. As you wait for it to boil, move on to the next step. Remove the seeds and soak – Using gloves (highly recommended! ), gently remove the stems and slice each chile open lengthwise. Remove the seeds and membranes (the spicy part of the chili) and discard. Transfer the chiles to a medium bowl. Once the water (or broth) reaches a boil (step #2), carefully pour the water over the dried chile peppers. Cover the bowl and allow chiles to soak for at least 30 minutes. Roast the vegetables – As the chile peppers soak, return the dry skillet to medium-high heat. Add the onion, tomatoes, and garlic cloves. Allow the vegetables to cook until lightly browned on each side, approximately 3-4 minutes on each side. Blend it all together. Transfer the onion, tomatoes, garlic cloves, and peppers (once softened) into the bowl of a large blender. Add the soaking liquid, salt, Mexican oregano, and ground cumin. Blend until completely smooth. Cook the Sauce. Heat 1 tablespoon of olive oil to a medium pot over medium heat. Add the blended chile pepper sauce and bring to a low simmer. Reduce heat to low and simmer, uncovered, for approximately 25 minutes. If the sauce becomes too thick, add a little more water, as needed. Season to taste. The sauce will be quite bitter at this point. While most enchilada sauces are not meant to taste super sweet or super salty (or super delicious on its own), you can easily balance some of the bitterness with salt, sugar and a small piece or two of semi-sweet chocolate (be sure to add the chocolate at the end of cooking). For the best tasting sauce use whole dried peppers, not pre-ground chili powder. There really is no comparison between the two. Use fresh ingredients – this includes garlic, onions, and tomatoes. Again, it’s a flavor thing. 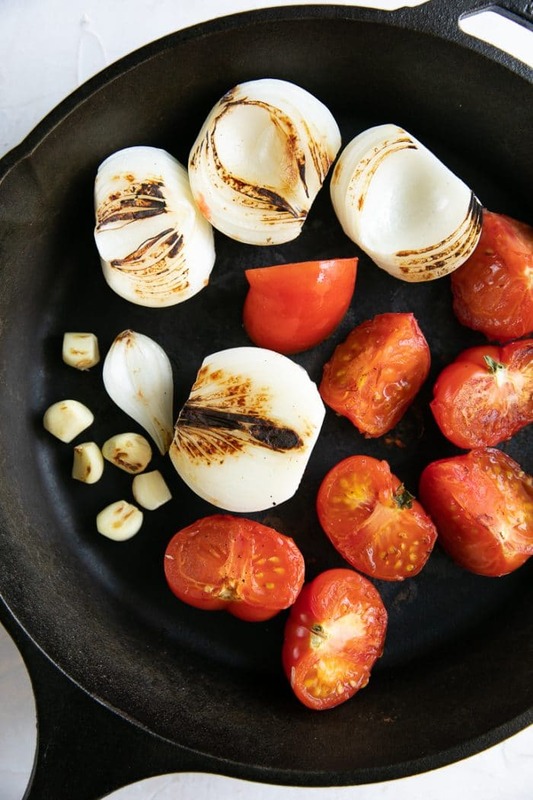 Don’t skip the roasting step- for the chiles or for the tomatoes and onion. Dried Arbol chiles are the spiciest of the three dried peppers that were added to this sauce. Although they are the smallest, take care when deciding how many to add to your sauce- especially if you’re sensitive to spicy foods. Since I used my Vitamix to blend my enchilada sauce, I ended up with a completely smooth and creamy sauce. If you find that your sauce isn’t blended as thoroughly simply pour it through a fine mesh strainer which will separate any large bits from the sauce. 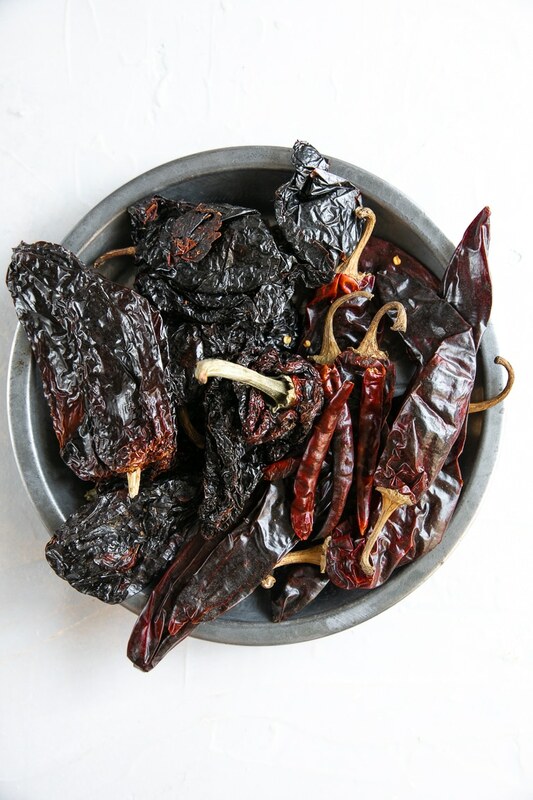 If you used whole dried chiles, you do not need flour. 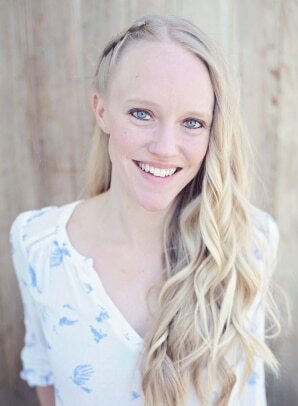 The chocolate is a flavor enhancer, not a main ingredient. Use sparingly and add to the sauce right at the end. 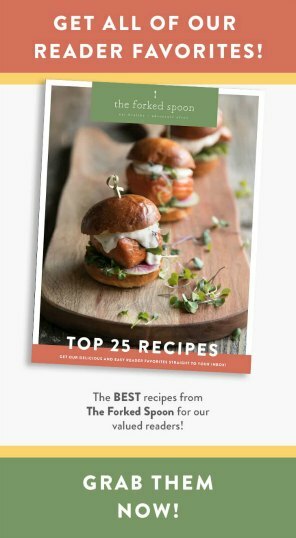 Can Enchilada Sauce be frozen? Since this makes quite a bit of Enchilada sauce, you can decide whether you want to use it all up in a number of different recipes over the course of a week, or if you’d prefer freezing leftovers in freezer-safe jars or reusable bags (I love these reusable silicone bags). You can allow your enchilada sauce thaw overnight in the refrigerator, or place the jar or container in a bowl filled with warm water to help expedite the thawing. Enchilada sauce, a classic Mexican favorite in so many ways, is also multi-functional. Often used as a seasoning, I love to add enchilada sauce to my favorite stews and soups, like this Chicken Tortilla Soup. You can also mix enchilada sauce with homemade pico de gallo and serve with chips and avocado. Bake with beans and cheese for a warm, gooey, delicious party dip! Of course, classic chicken enchiladas or vegetarian enchiladas are also delicious options, but why not try eggs simmered in enchilada sauce and topped with guacamole? If you try making this Homemade Enchilada Sauce Recipe, please leave me a comment and let me know! I always love to hear your thoughts. 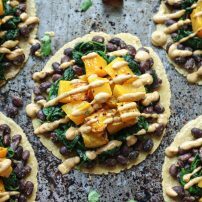 DON’T FORGET TO PIN AND SHARE THIS ENCHILADA SAUCE RECIPE AND ADD IT TO YOUR NEXT WEEKLY MEAL PLAN! Learn How to Make Enchilada Sauce and enjoy with your favorite enchilada recipe, mixed in soups, or simply drizzled over crispy corn tortillas. Roast the chiles - start by roasting your chiles in a dry, heavy-bottomed pan or skillet (I love my cast-iron skillet for this) set over medium heat. Simply add the dried chile peppers and roast for 1-2 minutes on each side. Do not over-toast your dried chilis as it will result in a bitter-tasting sauce. Remove from the skillet. Remove seeds and soak - Using gloves (highly recommended! ), gently remove the stems and slice heat chile open lengthwise. Remove the seeds and membranes (the spicy part of the chili) and discard. Transfer the chiles to a medium bowl. Once the water (or broth) reaches a boil, carefully pour the water over the dried chile peppers. Cover the bowl and allow chiles to soak for at least 30 minutes. Roast the vegetables - As the chile peppers soak, return the skillet to medium-high heat. Add the onion, tomatoes, and garlic cloves. 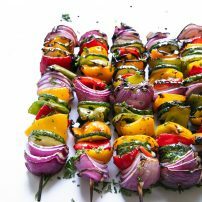 Allow the vegetables to cook on each side until lightly browned on each side, approximately 3-4 minutes. Blend it all together. 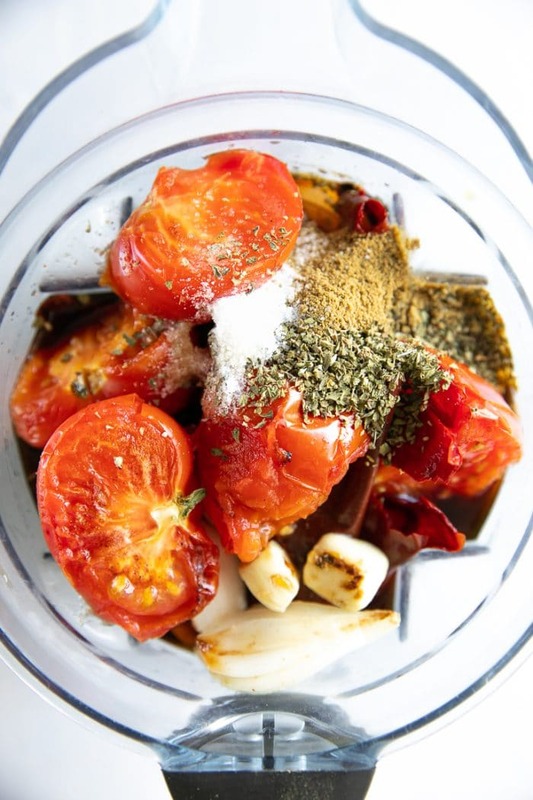 Transfer the onion, tomatoes, garlic cloves, and peppers (once softened) into the bowl of a large blender. Add the soaking liquid, salt, Mexican oregano, and ground cumin. Blend until completely smooth (see note). The dried Arbol chiles are the spiciest of the three dried peppers that were added to this sauce. Although they are the smallest, take care when deciding how many to add to your sauce- especially if you're sensitive to spicy foods. Since I used my Vitamix to blend my enchilada sauce, I ended up with a completely smooth and creamy sauce. If you find that your sauce isn't blended as thoroughly simply pour it through a fine mesh strainer which will separate any large bits from the sauce. Store leftovers in the refrigerator for up to one week or so. However, since there are no preservatives, I wouldn't push it much longer. You can also freeze the leftover sauce for up to 6 months.